Many photos and videos posted to social media sites depict babies hobnobbing with dogs and other pets. However, they invariably show the baby in an unsafe situation, all for the sake of “cute.” What can you, as a veterinary professional, do? Photos and videos are often shared to my Facebook page (facebook.com/ReisnerVetBehavior) by concerned readers, many of which depict babies hobnobbing with dogs and, sometimes, cats or snakes. There seems to be no shortage of parents who post these images for friends, family, and the public in hopes of achieving viral immortality.I often repost these photos and videos with comments that highlight possible risks of placing both babies and dogs in the situations shown, and followers of my page comment with long strings of agreement. But any brief gratification is erased when I realize that the original image or video garnered tens of millions of “likes” before it ever landed on a veterinary behavior page. In one popular example, an infant repeatedly takes a cookie from a tense pug that—also repeatedly— takes it back. In another, a toddler approaches a large dog sleeping on a sofa, putting her mouth on the dog’s muzzle to either kiss or bite. Both include the soundtracks of giggling videographers—presumably the parents. There is some awareness among commenters in social media that these children are in risky situations, but they are dramatically outnumbered by cooing (and sharing) admirers. There is a good reason to critique these posts and bring attention to the risks they represent. Although things may not have turned out badly in a particular video (as far as we know), other parents may try to copy or “out cute” each other using their own children and pets and, by doing so, unknowingly expose them to a bite risk. Supporters of the “cute” video trade often insist that parents are supervising during the situations shown. However, dog aggression can be devastatingly fast. We know, for example, that most dog bites to familiar children occur in the presence of parents or other caregivers. Furthermore, rather than growling, some dogs communicate the “warning” in complete silence or skip it altogether (perhaps because they were historically punished for growling). To uneducated human eyes, silent threats, such as stiffening, pupillary dilatation, and a closing mouth can be invisible. • The sofa dog wakes to repeatedly lick the toddler’s face; licking can indicate conflict and a wish for the toddler to walk away. Both behaviors may precede a bite and, doubtless, in many cases, they actually have, but those videos simply weren’t posted. Parents mean well for both their children and pets, of course, but often lack the knowledge of canine behavior needed to recognize and avoid provocation. We’ve all heard clients describe their dogs’ impressive tolerance (“The baby can climb on him, pull his ears, and take food right out of his mouth…”) and wished that, instead, they enforced limits in interactions between the pet and child to avoid an accident. After all, there really is no such thing as a “bombproof” dog. Identify parents or caregivers with an intake questionnaire and automatically provide educational material about preventing bites from pets. Use waiting room posters that easily draw attention to triggers of biting and the subtle but critical changes in pets’ body language that precede bites. Display photos that illustrate signs of behavioral ambivalence that may precede aggression. Rather than sharing such cute images, let’s spread the word about appropriate and safe interactions. Veterinarians can contribute significantly to dog bite prevention by educating their clients. Even though the chance of a bite may be small, it still implies a risk that is much too great. 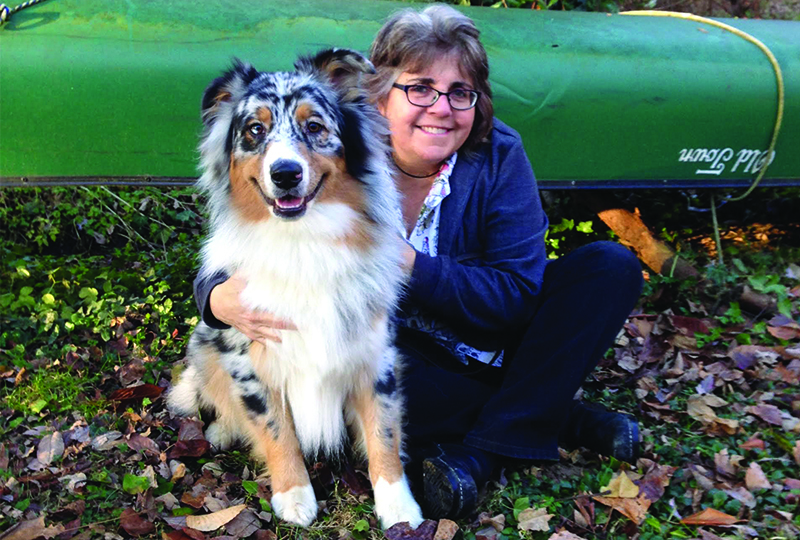 Ilana Reisner, DVM, PhD, Diplomate ACVB, is a veterinary behaviorist and consultant in Media, Pennsylvania. She has served as the director of the Veterinary Behavior Clinic at University of Pennsylvania Veterinary Hospital and assistant professor of behavioral medicine at Penn’s School of Veterinary Medicine. She is past president of the American Veterinary Society of Animal Behavior. She received her DVM from Oregon State University and her PhD from Cornell University.